In the skillful management of paper, the Japanese are acknowledged to take the lead, as their balloons and kites, lanterns and fire-screens, now so commonly seen in this country, will testify. Many of the grotesque and hideous monsters, which nevertheless are artistic in form and decorative in effect, are made of paper pulp, with the necessary materials added to give it the proper degree of hardness ; and in articles made of folded or crinkled paper they have no equals, while in some instances they apparently infuse life itself into their airy creations. 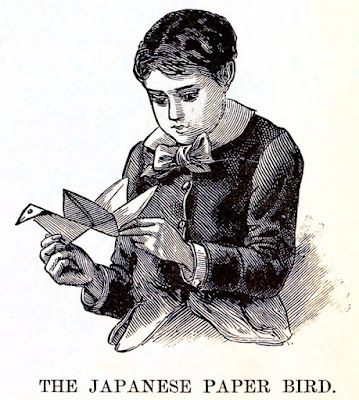 By simply folding a square piece of paper in the manner here described, they produce a bird-like figure, which will move its wings in quite a natural and amusing manner. 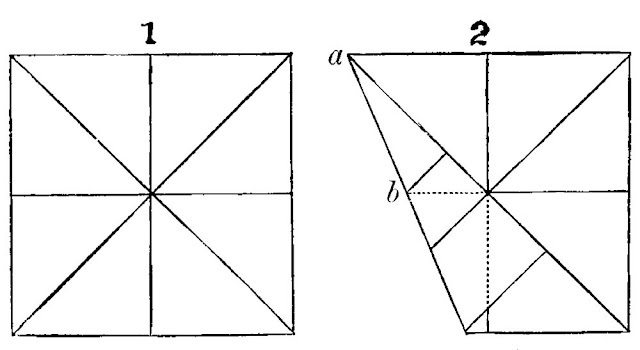 A leaf of paper—letter-paper is good for the purpose—is cut into an exact square; fold this cornerwise, and then through the middle each way, as indicated in Fig. 1. This done, turn over each corner in succession, so that the edge of the square will be along one of the cornerwise folds, as in Fig. 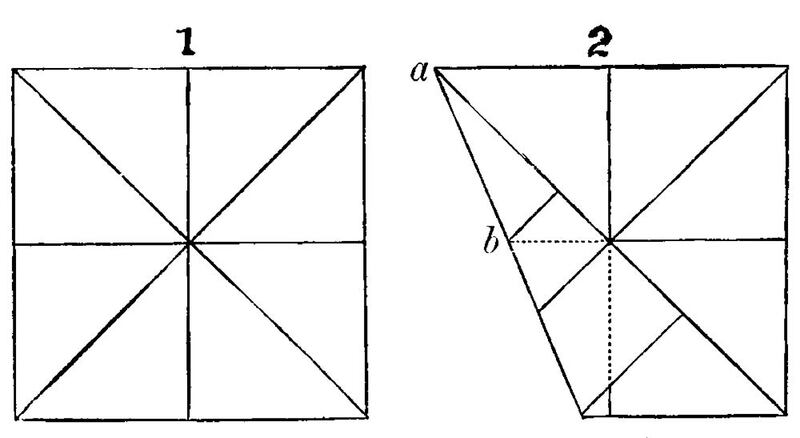 2, and fold sharply the portion from a to b. Do this eight times, twice with each corner, first turning it one way and then the other, till it has the folds shown in Fig. 3. 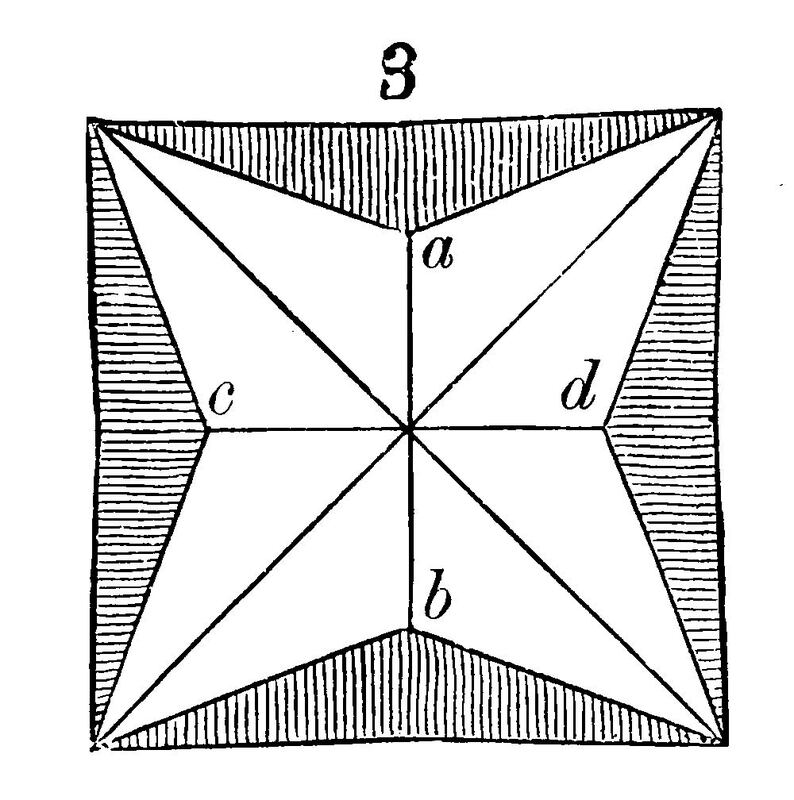 Turn inward two of these portions, indicated by the shading, as in Fig. 4 ; this will draw together the other two sides ; fold it closely across the middle, a b, as in Fig. 5; then repeat the same in the other direction, folding on the line c d. This is done to mark the folds, which may be made more completely by pressing them with the finger-nail. Now it will be easy to bring the corners of the square up together, making a figure like No. 5 or like No. 6, when looking down on the meeting of the points at a. Then bring the points 1 and 2 together, also 3 and 4, and your figure will be like No. 7. Take the two outside points at a and turn them down, folding at the dotted line, and you have Fig. 8. Now turn down the other two points, 3 and 4, one forward, the other backward, making Fig. 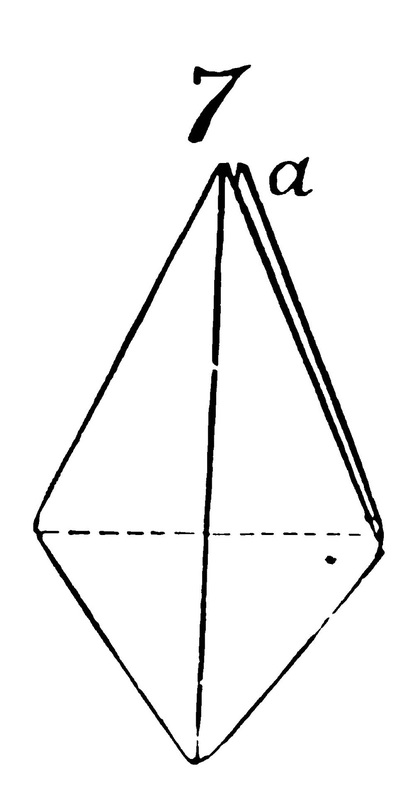 9, with two broad points inside and two narrow ones outside. 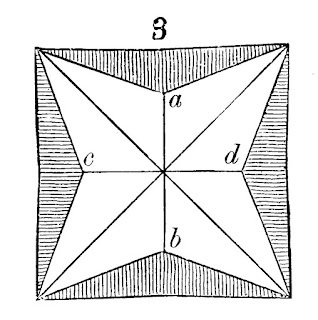 Turn and fold these narrow points to the right and left, and turn down the end of one point to form the head, and you have the bird, Fig. 10. Take it by the head and tail, as shown in the final view, and move them to and from each other. After a little careful working, when the folds become flexible in the proper places, you will make the bird flap its wings. It can be done after a few trials, if not on the first, and is sure to afford amusement to all.